Micro represents Dromont’s perfection as Micro has been designed by taking a complete factory machine with its patented 3 way valves and scaling It down to laboratory size. This dispenser includes the exact same valve and software technology as the factory system with the highest accuracy guaranteed in the market of 0.01 grams. 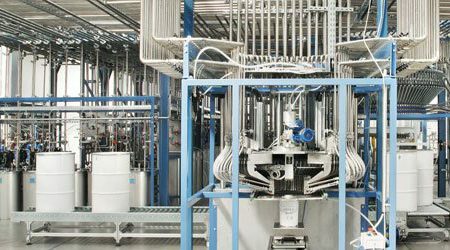 Micro has been linked to the larger production dispensing system. This allows for very efficient color matching, automatic sampling and scale-up to production of the approved colors.